LEXINGTON, Ky. (Aug. 2, 2018) — At the end of her freshman year of college, Kyra Patel became a suicide loss survivor. She knew then she wanted to dedicate her life to helping others, especially college students, so they would know that no matter what they're going through, they are not alone. 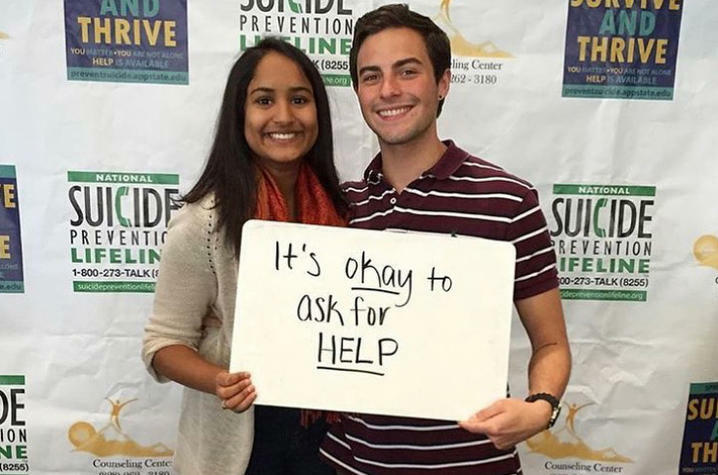 After losing her roommate while an undergraduate at Appalachian State University, Patel proposed an event aimed at suicide prevention and helping students struggling with mental illness. In April 2014, during her sophomore year of college, the first annual Suicide Remembrance Night was held. After watching her campus come together for that event, Patel said she "felt like I could do anything, and I wanted to share that feeling with others." From that point forward, Patel knew she wanted to work on a college campus in student wellness. 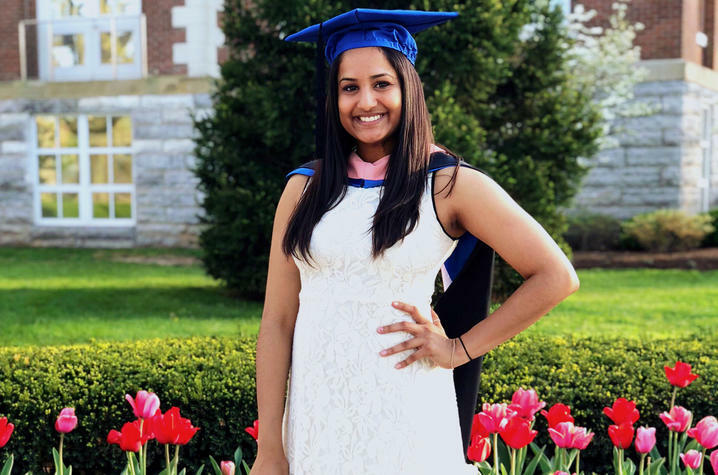 In May 2018, Patel graduated from the University of Kentucky College of Public Health with a master's in public health and a graduate certificate in biostatistics. Meeting UK alum Alex Howard helped Patel choose what she wanted to study and where she wanted to attend graduate school. During her time at UK, Patel was engaged on campus, she was the treasurer of the Student Public Health Association, an ambassador for the College of Public Health and a graduate assistant in the Student Financial Wellness Center. During her assistantship, Patel says she learned a lot about working in higher education and the holistic nature of wellness. "I had never heard of financial wellness before UK but the work I got to do as part of that team, really allowed me to develop as a professional and solidified my goal of working in higher education," she said. Today, she is back where her passion for student health and wellness began working as the coordinator of student social wellness at Appalachian State University in Boone, North Carolina, under the supervision of Howard. While still in the onboarding stage of her job, she spends her time learning about evidence-based wellness initiatives, advising peer educators and developing relationships with student leaders across campus. While Patel's career has just begun, she is already thinking about what might come next, including a possible doctoral degree. She knows for certain, however, that she will continue working in higher education. "I love working in student affairs, because I get to see a change in students’ behaviors and actions," she said. "It’s empowering when you see them understand a part of wellness and then get really excited about it and share the knowledge they’ve gained."